I made these beauties yesterday with a friend of mine. I absolutely love purple sweet potatoes, going but the name Stokes Purple here in the US, and I made a lot of crazy stuff with them, but never attempted a cookie. 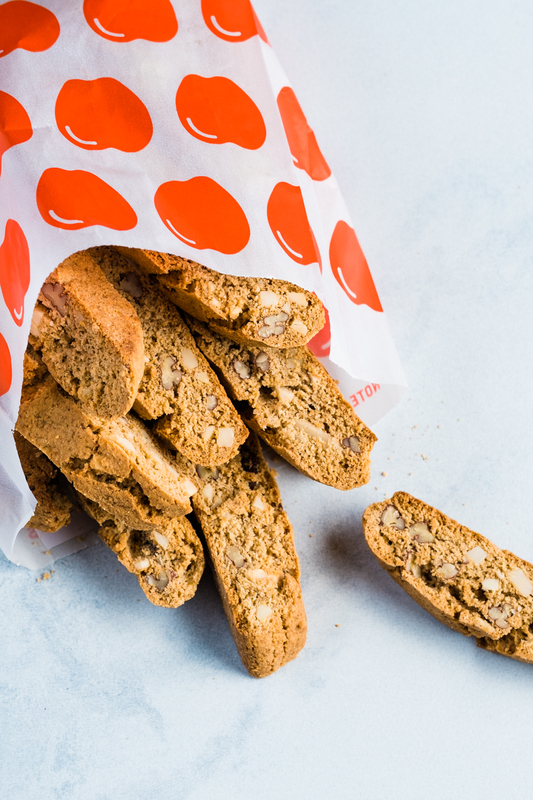 Yesterday was National Cookie Day and although it wasn’t planned, it was quite fitting to the occasion. 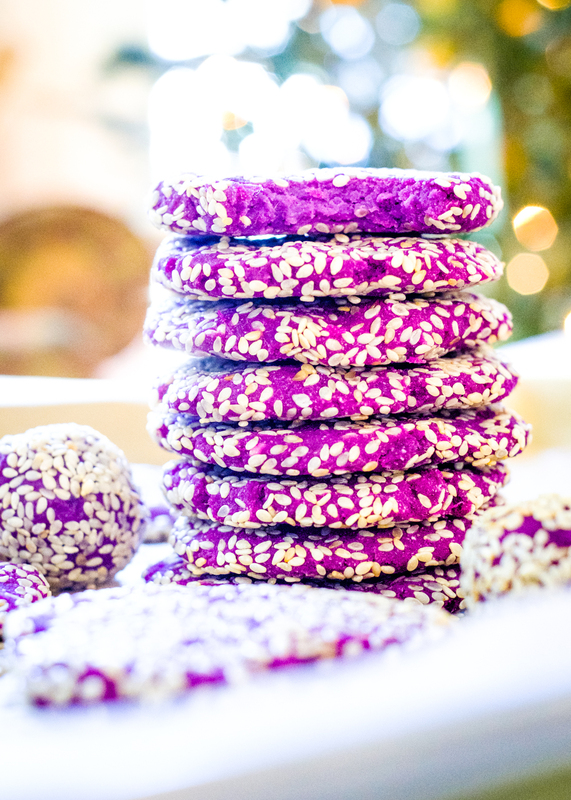 I not only love these purple sweet potato cookies because of how pretty they are, but they are a great way to eat resistant starch that is cooked and cooled, which is really smart if you want to triple the benefits for your gut health. Please don’t run away when you read the name of this cake. It sounds like a lot is happening but it is actually a super easy one to make. 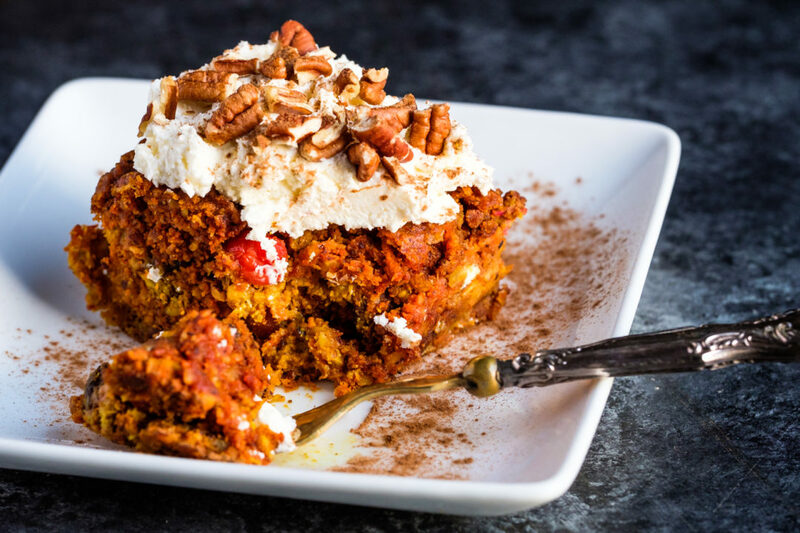 It tastes delicious and of course, it’s a lectin-free carrot cake, which can be adapted to your specific occasion. Mine was simply stuffing my face with cake with no particular occasion, but you do you. It smells like Christmas in my house my friends. 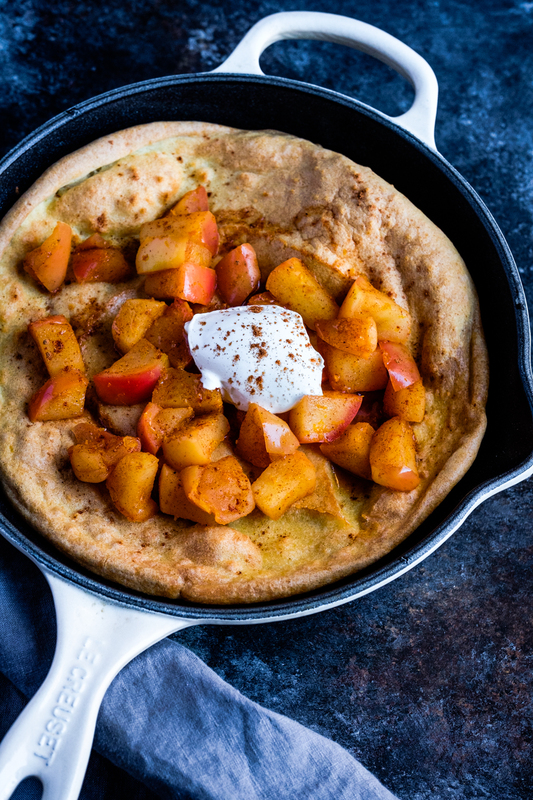 This morning I felt like a treat and had some Honeycrisp apples I was planning to use, so decided to re-make an old recipe of Dutch pancake and use the apple as a topping. But then it’s fall, and I have Pumpkin Pie Spice on hand, and had lemons and an orange too, so I decided to celebrate all the season’s flavors. 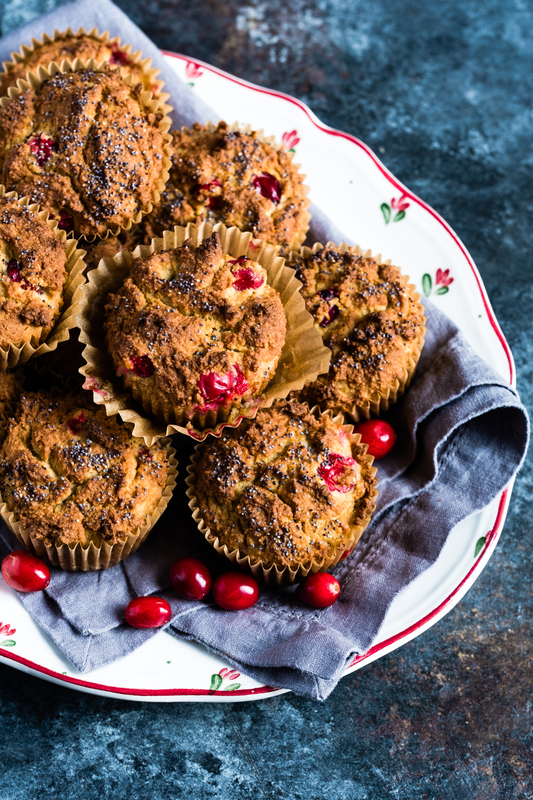 These lectin-free sweet potato muffins are delicious. 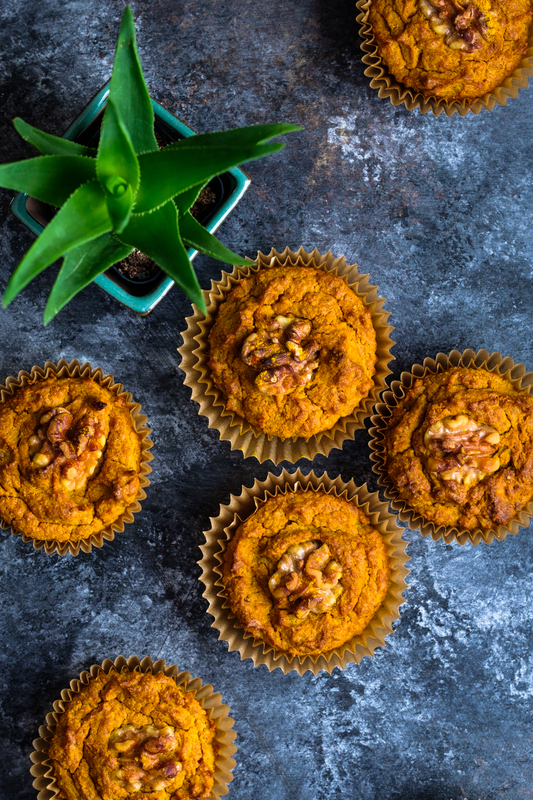 I’ve been considering making sweet potato muffins for a few months now, but sometimes I’m too lazy to think of something new, so I stick with the old good recipes that are tried and tested. Yesterday I was finally inspired and motivated enough to give this idea a try. 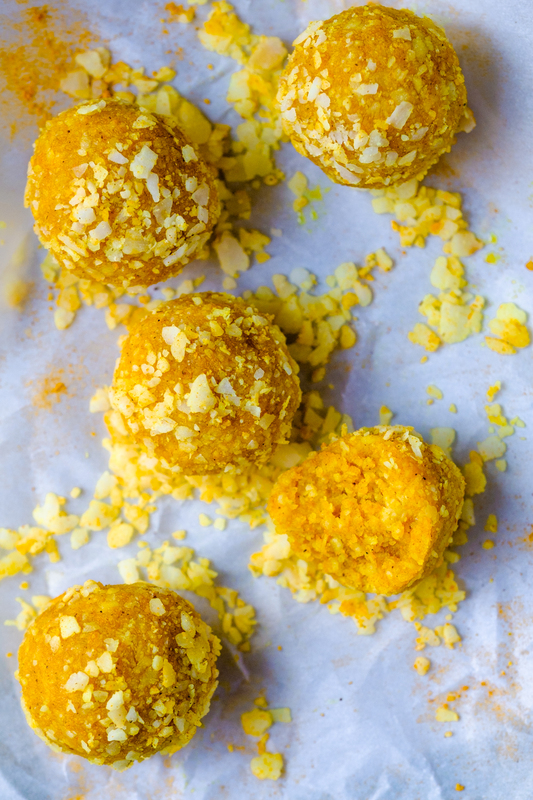 These three ingredients energy bites, or call them turmeric macadamia fat bombs, are not only pretty but also tasty and healthy, and super easy to make, lectin free, sugar free. They are made of coconut flakes, macadamia butter and my (NOT so) secret ingredient, the Turmeric Tonic created by the amazing ladies at Further Food. I don’t remember when and how I discovered California Country Gal grain free, lectin-free baking mixes. But I know I’ve used them so many times in so many shapes and forms, that I started experimenting with making my own recipes. 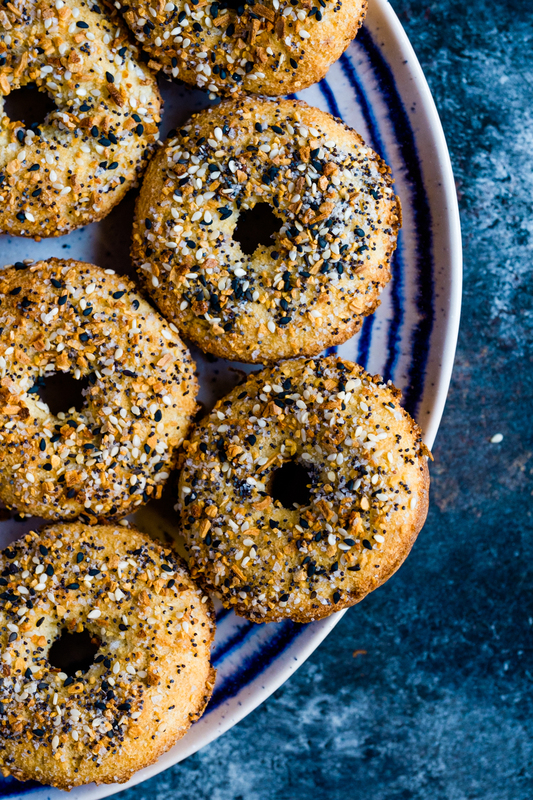 Lectin-free bagels is one of them, even though is not really a new recipe, just a new way of using the mix and their recipes. I remember first time I had Brazilian cheese bread. It was at a Churrasco restaurant in Dubai, and I ate so much I was barely able to have any meat after. They were so good. 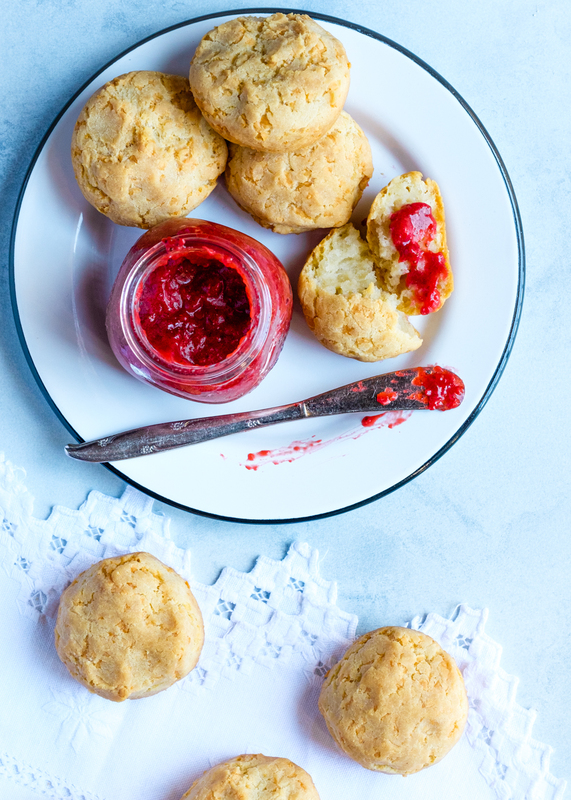 Since they are originally made with cassava flour and easy to make Plant Paradox compliant, I’ve been contemplating making them for a long time, but I’ve always been intimidated by the recipes that seemed rather complicated. Well, what I have here is a treasure, because is absolutely delicious, it takes 10 minutes to put together, and the recipe comes straight from Brazil. You guessed, from Auntie Jovita. Who is eating avocado daily? I do and sometimes I’m bored with all the classic ways of eating it. 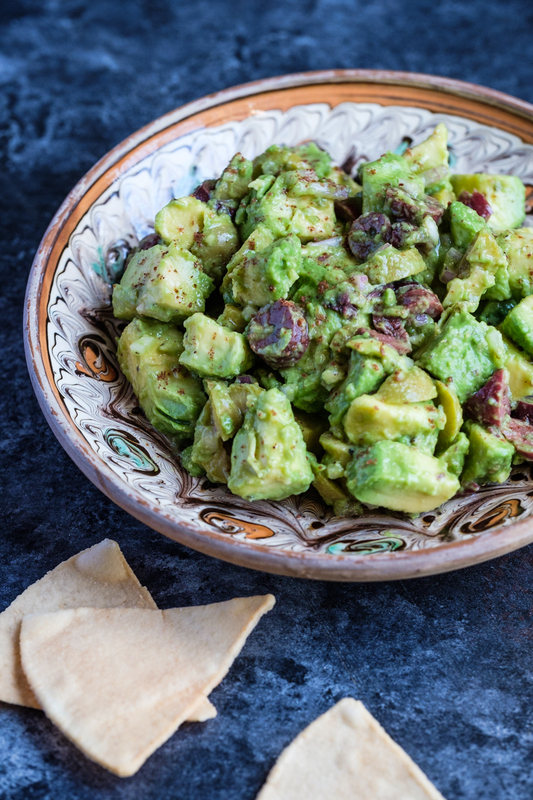 This morning, while reading the new Special Issue of National Geographic about Blue Zones and the science of living longer, I found this recipe of avocado salsa inspired by Loma Linda vegetarian cuisine (Loma Linda in California is one of the seven blue zones in the world, where people live the longest and healthiest lives).